The 'Hairspray' actor has been the subject of accusations from a number of male masseurs, with two filing lawsuits against him, and though the proceedings were later dropped, his legal representatives are said to be working on a financial agreement with one of the men. 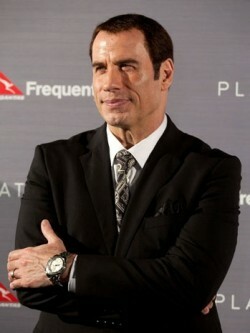 A source told RadarOnline.com: "John Travolta's lawyer is currently in settlement talks with one of the accusers. The goal is to have a settlement reached very quietly and quickly because John just wants this scandal to go away. "No money has been paid yet, but it's almost a done deal. It will be an out of court settlement and John Travolta's name won't even be in the agreement to ensure complete confidentiality, along with a clause that states if the man ever goes public with his story, he will be sued for at least twice the amount of the settlement." The accuser currently in negotiations with John's team claim he was groped by the actor within the last two years, which is within the limitations of being able to file a civil lawsuit, which he is prepared to do if a settlement isn't reached. The source added: "If the accuser who is in talks with John's lawyer right now is unable to reach a settlement, he is absolutely prepared to file a lawsuit against him. "The man isn't intimidated by John's celebrity status and just wants the actor to be held accountable for his actions." John - who has children Ella Bleu, 12, and 18-month-old Benjamin with wife Kelly Preston - has vehemently denied the allegations against him.